Strange noises in the middle of the night. Cold chills in heavy air. That feeling of someone watching you in an otherwise empty room. Whether you believe in ghosts or not, the haunted house is a staple of horror, folklore, and maybe even reality. 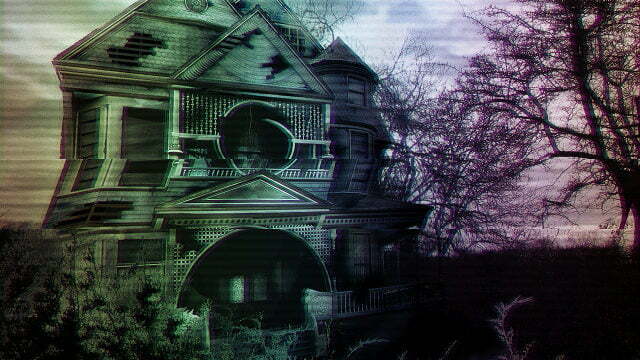 Here are just ten signs that your house may be haunted, in no particular order. A light switches on. Or off. Maybe your television changes channels by itself, or a strange interference occurs on your radio or telephone. It’s hard to say whether or not such things might be caused by unintended house guests, but if you ever find a toaster dancing on your counter top, you know who to call. In fact, many believe that paranormal entities may be drawn to areas of anomalous electrical patterns — ley lines, vortices, and other such strange phenomena. Or, perhaps, the spirits are the ones who cause these anomalies. According to the Association for the Scientific Study of Anomalous Phenomena, some claim that ghosts and spirits may “produce static electric field changes” or even negative air ions. If this is true, perhaps it would explain why electrical disturbances occur during many reported hauntings. Ever lose something — car keys, the remote, your cell phone — only for it turn up again in the strangest of places? Or worse, right back where you know you left it? This may be the result of something called Disappearing Object Phenomenon. Where do the objects go? I don’t know. A parallel universe, a slip through time. It could just be a case of you missing it the first time you looked…or it could be a mischievous spirit playing tricks. Sometimes, the items return. Sometimes, they don’t. If they do, you can only ever wonder: Where had they been? Hauntings can manifest as faint whispers or grumblings, or a mysterious rapping on the wall. The sound of footsteps in a hallway. Phantom music. There have even been reports of guttural, animalistic sounds, in the case of demons and possessions. If you ever hear something like that, or what sounds like a little doll running around upstairs, maybe think about getting a new place. Don’t believe me? Consider the case of one person and her family who moved into an old house — formerly a church — that once belonged to an eccentric old woman. The old woman had collected all sorts of strange and occult books and other oddities. Mirrors, as well, which they thought she may have used to act as “portals for spirits.” Strangest of all, when they moved in, many of the old woman’s belongings were still there, like her toothbrush, some clothes, other things. Like she had left in a hurry. Long story short, many unexplained things happened in that house, culminating with a demonic voice shouting into the witness’s ear, screaming that it “wanted her back.” It was a sound of “pure hate” and evil. They eventually moved. I’m sure you can understand why. Shadow people come in many shapes and sizes, or so I’ve heard. Dark spectres, outlines, black masses, menacing silhouettes in the shapes of humans. Some are clearer, perhaps, like the Hat Man. Whether they’re demons or simple ghosts or, well, eye floaters, lurking shadows in the corner of your eye may be a sign that your house is haunted. They say animals, and even small children, are particularly sensitive to the goings-on in the paranormal world. I even saw a show once where rabbits — yes, rabbits — were experiencing a Paranormal Activity scenario (which, I admit, I thought was a little weird). But it’s true: dogs and cats react to things we can’t see, even if it’s just infrasound from rattling pipes. If your pets are acting strangely — like a dog barking around certain areas of the house, or a cat following an invisible force with its eyes — you may have something going on. Sleep paralysis, or hypnagogia, can explain away a lot of various and terrifying sensations — awakening to a feeling of terror or a presence in your room, hearing footsteps, and even feeling the weight of a wicked witch pressing down upon your chest. But strange dreams involving people you don’t know and recurring night terrors are said to be a sign that something else may be afoot. Are spirits trying to contact you from the other side? Dreams are one thing, but have you ever felt like you’re being watched? That there’s someone in the room with you even though you know you’re alone? You may also feel chills in the air or, even more unsettling, the feeling of being touched by an invisible hand. If these sensations occur regularly in specific areas of your home, you may be living in a haunted house. Every house has a story, some darker than others. If your house is an older one, it may worth learning its history, if for no other reason than to satiate your curiosity. But you may find that your home played a role in a darker past — murder, suicide, strong emotional turmoil. All of these are said to increase the chances that your house may be haunted, or that residual spiritual energy may remain. Having a house built on top of an ancient Indian burial ground is particularly bad news. Psychokinetic activity is a fancy word for things moving around without any visible reason. Cupboards flying open, doors swinging wide, or glasses flying off tables might be a sign that a ghost or poltergeist is making its presence known. And if your entire kitchen erupts in a flurry of open cupboards and silverware a la Paranormal Activity 2…I don’t know. You’re on your own on that one. And last but not least, there’s always one sure-fire way to know your house is haunted. Well, usually. They may be rare, but full-body apparitions and ghostly wisps of light are definite signs that something extraordinary is happening. Take a picture, if you get the chance. Looks like my old house was haunted (To bad we had to move out, I love investigating the paranormal, and it was right on my doorstep). Lucky out new house has what (according to this) looks like a haunted forest. YAY!!! it’s been three years — was the forest haunted? When i have seen them or heard them first i was scared but then it was normal (for me) those paranormal activities If i get the change to caught a ghost i will do it. Everyone may think that I fell off my rocker. It is very true when someone passes on especially trajically like my husband did. I have seen my husband’s spirit or his image in many places since his death on August 20,2014. While I was staying at my parents home for a few days after his death, I saw him there twice and then I stayed with a friend for another few days due to the fact I did not want to be in my home alone. I saw him there but he spoke to me and said in a firm tone of voice while pointing toward the direction of our home “go home, go home”. Since I’ve been home I can not count the times I have saw him. I have even felt like he was putting his arms around my waist from behind like he would usually do and there has been times that I was in bed crying and it could feel as if someone sit on my bed behind me and put their arm again and at times I could feel as if someone was laying beside me. I can feel like at night since it has gotten cold as if someone is tucking my cover around me. I get urges or like I have been told to pick up my phone and listen to certain songs on YouTube but I feel as if I am being led through to what songs to listen to. The first time that happened I was led to the song “hello it’s me ” by Todd Rodguin and who else but my husband would it be. There are songs that I never knew who the artist was or the name of the song but I have heard them bc my has had me to listen to them in the past by him just playing them for me. Another thing my male cat has become super attached to me he follows me everywhere I go even to the bathroom, as I leave to go somewhere my cat comes out my window and meets as I am coming down my steps and like he has to kiss me bye just like my husband would me before I leave and no he didn’t climb out the window. So I feel like my husband’s spirit may be in my home were we lived for six years up to death. I feel as if he came home to me. He always wore his keys clipped to his beat loop and I can hear his keys jingle like they did when walked. You can take this how you like but I do believe in spirits and they can make themselves known if they want to. Where do you live? You can’t trust all mediums. Some are good, some are bad. But you do need the help of a spirit communicator. Also ask Jesus to protect you. The crucifix is very powerful. Call upon Archangel Michael to protect you. Agreed with Judith, prayers is stronger than anything. Yet I did tried used prayers to get rid of my heart ache and burning, for temporary. If anyone consumed the dark magic in form of foods etc. You must get priest or medium to help remove from inside your body. Cleansing house with prayers from priest is a must if encountering abnormal paranormal activities. michele, if you are a medium i have a question, ok i think i am starting to have haunting, because i have nt heard any voices. but it feeels like i get unexplained scratcces or qowies that i have never made, thigs have disapperad and have never come back, i have ben sexual assult, i have feelings lik something is holing or pushing me down while i am lying don and beeing sexually asultd and that is bn going n for a hil now. and i have and blackouts that i an’t explain, at tims i have been held down and can’t move, some times when i am being held down my mouth all of a suddon oens and is kept oen for like 5 to ten miutes afe that it closes and i ddon’t know what going on, and i am reaally worried whats going on and my parents don’t believe me and i don’t know what to do. And sometimes t fells like i am being contactd but i don’t now ho it is. It feels ike i am being hit on the head and fall asleep and i don’t know if its a ghost, polergeist, demon, i don’t know and i am very scared that it will keep going on, and hen i am being seualyy assulted and i get up it feels like whoever is doing it is stuck or stuck its self and can;t get out and its scareing me a lot. like i am being pused, haveing skinned burned theen scratched then icturs on my skinand i don’t know whre its comeing from and the pictures are very disturbing to me, i really need your help to figure out wht going on and i want it to stop and i am literally scared tat it will get worse or never stop. plz help me if you are really a medium and tell me what i shold do t resolvee this. Hi Daniella, I believed possible your condition is a minor seizure. That includes some of your symptoms, perhaps try to go hospital have a test. I have gone through numerous phenomena of possessions and even disturbance at ultimate level awakening especially night falls for past 25 years. I am litt’ used to it. There are numbers of reasons if you are really being disturbed by paranormal, your house history, parents and even have you close encounter with any enemy friends? What religion you are and even your family? That will leads you the answer you need or where to seek for priest or medium so called. Sometimes it might be related to the above, if not it might have follow you home from the night. It happened mostly. I was at my sisters house in the US visiting. The first night there I lay in bed trying to get off to sleep, suddenly I felt the pillow raise up lifting my head up and then down again, I was motionless and terrified. A few seconds later the same thing happened only this time it was much more higher and forceful. I was rigid with fear. Michele, I know this is an old post but I’d love to chat about paranormal because I have too many experiences to type out now, I believe that it all started when I was 8 and got a massive concussion, It’s been years & years of unexplainable things to no end, I’ve never been afraid anywhere except one house because it wasn’t a good place & the ppl who lived there long ago were bad ppl it held onto the energy like a sponge..
Youre not off your rocker laura, actually I think your story is cute, its a sign that your husband takes care of you wherever he is at and he will always do, Im really touched by the part where you said that one time you did open youtube and you were led to the song hello its me by todd rundgren by your deceased husband, I like that cute song Ive heard it many times. My best wishes for you laura. Yes. I live in a haunted home and have pictures and video to confirm. I was a skeptic. I am no longer. Me, why are you not a skeptic anymore? 1. I was in the bathtub soaking and my husband playfully turned the light off on me – -something he often does to make me say something like, “turn it back on.” Well, he turned it off, but I had an additional light on in the room already, so I didn’t say anything as I didn’t need the light anyway. He left and went to the living room to watch TV. About 5 minutes later, the light came back on. But the door was shut. So, I wondered how he did that. When I got out and asked him, he said he didn’t do it. 2. My brother was looking on the floor under the kitchen table, so I asked him what he was looking for so I could help. He said it was the cap to his water bottle. I swept the floor and it wasn’t there. I wiped down the table and it wasn’t there. Oh well. No biggie. But the next day, it was sitting right there in plain sight on the kitchen table. 3. My 90-year-old mother asked who the woman in the red dress was at our house. There was no woman in a red dress. She never jokes around. We don’t know what to make of that one. 4. One of our cereal bowls is now missing and no one knows what could have happened to it. We never eat anywhere in the house except in the kitchen. We don’t take dishes outside the house. Not sure about this one. 5. We have heard noises in other rooms, but then after checking, no one is there. My brother heard me cough and went to see why I wasn’t at work, but I WAS at work. 6. I have a Keurig with a carousel for K-pods. I keep it stocked with a variety of flavors and all mixed up. I found it organized with each flavor in line all facing forward. I asked who did that, not that I cared, but just curious. No one did it. All just stupid stuff that doesn’t really mean anything, and can probably be explained somehow if I had a hidden camera, but I don’t. But we all keep saying now that the “ghost” did it. Ha!!! I am still a skeptic, so I am wondering what made YOU decide not to be a skeptic anymore. It takes a lot to convince me. Ha. I’ve been seeing this black shadow walking around in my mom’s house. My fiance’s grandfather passed away in our living room a year and a half before I moved it. At random times throughout the day we will just hear someone walking upstairs (when no one is home) or feel like someone is near by (when it is only us). Real creepy! Off Antrim road, between Malone road and Lisburn road, and off Ormeau road twice. In partially reverse order, since I have been moving a bit back and forth in town at my different periods. I can’t sleep because every time I’m nearly asleep this really loud noise happens, but the rest of my family say that they never heard anything!! So…What do I do? That’s called exploding head syndrome. It’s a medical condition. Go to the doctor Asap. I think my house is haunted. I live with my mom, my brother, my sister and my dog. One night my mom was downstairs watching TV, and my sister was out. So it was just me, my brother and my dog in our room upstairs. We heard footsteps in the hallway and then a sound like a human hand was knocking and tracing circles on our door. My brother and I both heard it and it was as CLEAR AS DAY. I was sure it was my mom (even though she wouldn’t just stand there knocking on the door and not open it) but we asked her and she never came upstairs. The next morning I asked my brother, “Did you hear the ghost?” and he said something I was not expecting at all–“No, but I saw it.” Apparently he saw it run past at the top of the stairs! According to him it looks like a shadow with nothing to cast it, about 5’4″, very humanlike. I think my brother may be “gifted” in this manner as he told me he’s seen it a couple times. I felt like I was being watched one dark night–seriously, I felt like something was standing RIGHT THERE on the other side of the room. I was afraid to even look because I thought I would see an apparition. I finally looked and didn’t see anything, and I felt it go away once my brother came upstairs. I mentioned it to him the next morning and he said he saw it bending over my bed and watching me! I asked him if it was the same figure he saw at the top of the stairs, and he said yes. We have also had instances with the “borrowers” phenomenon. I left my glasses on my bed and could only find one of the lenses. Then the next day I found them attached to my bathrobe by one of the strings–I DEFINITELY would’ve noticed that before! But now it has apparently taken the lens again. It has also moved objects. I noticed that a random pillow had been placed on my bed, and I asked my mom and my brother about it and they didn’t know what I was talking about. My dog has also been watching the very same corner of the room that I sensed a presence in the other night. My brother says he has seen her doing it often. Last night she absolutely REFUSED to come in the house after her walk. My mom’s radio has once turned on by itself. I am wondering if there is truly a ghost in our house, and if so what to do about it. P.S. My sister also reports seeing a woman in a dress in the living room once, and I once heard something walking around downstairs in the night. I know it wasn’t my dog, because she was with us, and her ears pricked up at the sound. You forgot to mention strange smells and temperature changes. Usually very cold spots and smells could be anything from roses, to sulfur, or cigarette smoke. I’ve been ‘a sensitive’ my entire life and I’ve encountered many a spooky haunted houses. Including my current house which has a history of suicide, depression and cancer within its walls. I’ve tried every house clearing/blessing I can think of and Its still totally haunted. Footsteps, hissing sounds, foul smells, things disappearing and then turning up exactly where they were thought to be in the first place, night terrors and that icky feeling of being watched and followed by something that isn’t friendly. Anyone on here know of a full proof house clearing? I’ve spread salt around (and even burned some salt) sage, rosemary, sweet grass, cedar, bay leaves, buried crystals, called in angelic protectors, etc. Any suggestions? you need to tell the spirits that this is your house and you want them to leave. Let them know that you appreciate them Watching over it all this Time, but it no longer belongs to them and they need to leave. I wouldn’t do that. If it is a vengeful spirit, or Poltergeist, it could make things exponentially worse. I used to live in a house where a murder suicide happened. While I live there I experienced rogue shadows, abnormal electrical disturbances, a piano playing behind the out-going message on my answering machine – there was no music playing when I recorded it and several other strange things. The house eventually burned and I sold the property and moved. I saw an adult size dark grey person “walk” past me upstairs. It was looking straight ahead and did not look at me. It’s form did not move up and down as if walking, but remained at one level as if floating; but still I heard two loud and clear footsteps (like solid heeled shoes) as it walked out of the babies room (which is carpeted) into the hall (which has wood floors.) Thinking back, It would seem that the real floors should not matter, so I was surprised by this “real” physical sound at that precise time it moved from carpet to wood. I could not make out any distinguishing features or clothes as it was “covered” in a dark grey shadow. But it was clearly an adult between 5’8-5’10, and seemed like a fully dressed male shape based on its bulk. I did not get the feeling it cared about my concerns. I felt that it was comfortable and took its presence there for granted. It seemed “determined”, or maybe confident. I don’t think it plans on leaving. I did not get a hostile feeling from it, but I am concerned about the three children. I asked it to leave and I felt a huge swirl of energy fly up to the attic. Any ideas on how to make sure the kids are safe would be appreciated. There has been very loud banging on the wood floors while everyone is asleep, and some toys turning on and playing music. Have you smudged your house with sage? Burn some sage in every room of the house with the windows open. At the same time hold a crucifix and demand the spirit leave the house upon the authority of Jesus Christ. Out a crucifix up in your children’s room. Call upon Archangel Michael to protect your children. The spirit could be totally benign, even protective but I would not want spirits around my children. Doesn’t that only work if you truly believe in God/Jesus Christ? I don’t think it will work for those who don’t have a true connection to such beliefs and most likely should be performed by an experienced demonologist/exorcist. I don’t believe I’ve ever claimed to know everything about anything. Or anything about anything, for that matter. I just write about what interests me. Although, feel free to correct me if I ever get anything wrong. It interested me that is why I am here, and what you shared about is totally true and correct facts. Great article, thank you. I need to share what happened yesterday when an agent showed one of my listings. When she first got in the house the realtor and the couple all started going through the the home. When they went into a guest bedroom the realtor out of the corner of her eye saw a man dressed in darker pants and a shirt went into another room. She did a double take cause she thought it was her clients husband. But when she turned around he was in front of the wife. Then they walked on through and said they were ready to go did not like the way the house felt …I am the listing agent. I called the agent that showed it the next morning and was trying to get some feedback. She told me what happened. I said hmmm. No one has told me that before. But she was the 3 Rd showing and the other two agents never phoned me back about their showings. Then I received a phone call from a friend of the lady whose house is listed. She said Ms ….. Called me and said last night(after the showing) she was at home and thought she saw a man walking around in her house… She said I just went to bed … I knew it was my mind … When I was in bed I felt a man in bed beside me and then he got up and walked away. Her friend said Ms…. Yeah u just has a bad day… She lives alone and is older and misses her deceased husband… Then I explained what the showing agent experienced the same day… SOUNDS LIKE MY LISTING IS HAUNTED.. I NEVER ASKED MY CLIENT IF HER HUSBAND DIED IN THE HOUSE AND WHERE HE WORKED .. might explain what he looked like.. Oh and she was saying he had on dark blue pants and a dark blue shirt! THATS EXACTLY WHAT THE SHOWING AGENT SAID. First of all, we know my house is haunted, we are sure. Many people have come into my house and said to us “Who’s Tony?”. There was a man, two owners ago, named Anthony M. who died in this house. Also my own brother died in this house 6 years ago. There is another spirit that I have witnessed myself, a young girl. I believe the young girl may not be enlightened. Anyways, another way of sorting out spirits from natural occurences, is the defiling of statues. We had a 1.5 ft tall statue of the Virgin Mary in our living room. About 2 months ago, both my mother and myself had terrible nightmares; of what, we don’t remember. We only remember the terrible feeling when we awoke. That morning, we came downstairs and the statue was cracked in the middle, starting at the bottom and going halfway up the length of the statue. Both hands were broken off, right at the wrists. We disposed of the statue and will not be replacing it. I do believe it was the work of a malicious spirit. I am unsure what to make of all this. I am going to start with me I fell asleep one night and awakened to to what felt like part of my body was lifted up off the bed and shook very hard I felt like l had just been violated but nothing was there. I blamed it on my MS not knowing for sure. My child is 5yrs old says that there’s a man outside our windows and is in fear I check and there’s nothing. One night coming into the house my child standing at the door inviting something that we couldn’t see in, child is awakened by noises and ask do we hear them we hear nothing, screaming out loud ba dreams. Just this morning I was awakened by my 5 yr old child saying someone threw paper while they were on a pad in the living room. My child comes up with bazaar stories about violence and when mad atnother siblings how and what they are going to do to them in a violently way and very detailed about it. At the catholic school were my child recently attended wasmproblems with their very bad behavior. I am considering having my child evaluated. Can someone please help. My house is only about twenty years old but I know I’m never alone. The window right next to my bed makes tapping noises, I always feel like I’m being watched, I see things out of the corner of my eye, I hear footsteps when I’m home alone and more. I’m thinking it might not be something dead like I ghost, not necessarily something bad, but more like a parallel universe type thing you know? But I’m not an expert. I have now had two blacklights go out in the same room. The first one completely fizzled out, and the second one, the bulb went out. And I had only had them for about a month! My mom was very ill with dementia in that room for 3 months. Coincidence? I think not. I just think it is residual energy left in the room by the illness, but it is strong enough to make the lights go out. Mom never did like blacklights. I also hear noises in that room like she is putting something back down on her night table. I just heard that noise not long ago. I live in my great-grandfather’s house. Many different noises, such as singing in the middle of the night and my grandfather ‘s chair rocking on porch. Shadows abound in certain ares of house. Hi my name is Veronica I been seing ghost since I was young after year pass I could see them the dead and I could talk to them some time his scary I don’t know why this is happening to me.. I hope someone could help me I am not crazy..
Hi is Veronica again ps since I was young I been seing the man in the black hat long coat I been seing that man since I was in 4 grade sine now I am 37 now one time he point at me he don’t talk the man in the black hat long black coat he never spoke to me but I ask him wat he want he only point at me pleas someone talk to me let me know wat is this ..
my friend’s house is haunted, after reading this it just confirms my theory. i’ve always been skeptical when it comes to the paranormal but after seeing the following events i completely believe now. Hey Matt, you can always memorize some Bible versus our call to Jesus or God. Where do you live, about? I also left my number if you need it. Sorry comments by newest. If anyone needs help with paranormal issues, I can really help. I have over 30 years of experience and have dealt with all different kinds of situations, good and bad. Can someone help me understand somehow my creepy experience? I have had for a second time a creepy experience while I was half awake half sleep. First it happened to me like 3 years ago. I was in my bed, half awake, past midnight and I hear like two kittens growling and fighting each other. ”They” enter my left side of the body, from my ribs, they go up while growling and stop when they reach my shoulder. Then they stopped growling. Yesterday it happened again, but this time was like only one grown cat growling and entering my right side of the body, from my ribs again, it goes up to reach my right shoulder and this is where it stopped growling. Wth is this? The growls are so real and scary af. Its not just sleep paralyses. This is something else, even scarier. Forgive me for my bad english. I really do want to see and experience the presence of ghost but never got one. Till date I have been in few places which are haunted as told by others but spending a night doesn’t make any difference to me. Currently my next room seem to be haunted as per the information of my owner plus my siblings and cousins could hear the foot steps in the middle and stuff like that. Worst of all while talking to my gf in imo(video call) my gf said she saw a girl and start arguing with me who is that girl?? Yet I never saw one or feel threatened or scared. Why is that I don’t feel or hear any of it???? When I was younger, I moved from a haunted house and into another haunted house and then to another haunted house. I lived at the first from 3-5. I never heard sounds or saw anything, but my dad was attacked in the night by something. He woke up unable to breathe and had claw marks visibly appearing on his chest coming from no where. We moved from there and started a new life at a new house. I lived at the second house from age 6 to age 10. We didn’t know that the new house was haunted at first, but strange things happened randomly and after about 3 years, we were certain. There was also a roach infestation that was absolutely horrid. I wasn’t aware of paranormal things at my age at the time, but I would tell my mom if I saw something. At night, I would see hundreds of colorful spheres floating around in the dark (red, purple, blue, yellow, the whole 9 yards) and they just moved around, some slow, some fast. I didn’t pay it any attention. I kept telling mom about it, but she didn’t believe me. I would hear whispers and very loud shouts in the night and no one else would hear them. No one believed me. One night, I was sleeping on the couch and I could see into my mom’s room… A tall dark shadow with a top hat appeared next to my mom’s bed and bent over just staring at her. I was petrified and couldn’t move or speak. I just closed my eyes and stayed up the entire night just shaking with fear. When I opened my eyes again, it was gone. I was cold sweating, it was so bad. For over 5 hours. Then came the possessions. My mom was always nice and never spanked us, but all of that changed after that night the tall shadow was standing over my mom’s bed. She all of a sudden started beating my brother and I 3-4 times a week just for doing the smallest things. She got a hardened bamboo stick for that. There were some times where she would just apologize and apologize when we told her what she did, and she didn’t remember a thing. My mom’s friend came over to see the house and to see if she felt anything, and boy did she. She said she has never felt anything like that house and said we needed to leave immediately. The night she said that, whatever was there started to show it’s true colors. Mom started to cut herself when she was washing the dishes and had no memory of even doing the dishes. 4-5 inch gashes in her arm. Our cat would all of a sudden attack us and cut us very deep for no reason and then would run off scared. One night, my mom’s friend was in the bathroom and felt something come in there. She started talking to it and telling it to leave us alone and get out of this house. Saying hateful things after the next to it. After every sentence, it would knock the toilet paper off of the counter, mom’s friend picked it back up and it just kept on doing it. When she left the bathroom, the wall had a hole in it that wasn’t there before. We had a chifferobe that was pristine, but all of a sudden during the night, the wood paneling on the door was on the floor in strips. After several more occurrences, my mom decided that we had to get out of that house. We packed our stuff and left the week after she said that. After moving to another house, we were contacted by someone that lived on the street where we lived. She wanted to ask us about the house. She said that it was like nothing she ever felt and she was too scared to set foot in it. Above the doorstep, she pointed out, was a star. It flipped when she visited the house, but was right side up when we were living there. She then told us about a piece of furniture that we left behind. It was a big wooden chifferobe. She said that it was bent facing down (like the tall dark shadow) without the wood being split and that it was completely unnatural. We told her it was standing upright when we left, but it changed after we were gone. The lady that told us that couldn’t go further into the house, it was just too much she said. She asked how long we lived there and when we said 4 years, she freaked out. She had no idea on how we LIVED that long in that house. It was absolutely horrible and I would never want to experience it again. It turns out we had the chifferobe at the first house and the tall dark shadow? It might have been what caused damage to my dad. It was a very old piece of furniture that was passed down in my family. From age 10 to age 11, I was at the third house. There were only 3 occurrences at the third house. At night, at 12:05 am, someone knocked on the door on the first night we moved in. Our pets started growling and hissing at the door. No one was outside. The second night, at 12:05 am, someone knocked on the door again and again, our pets acted very strangely and no one was outside once again. The third night, the same exact thing happened. For some reason, it was raining on the first day and we decided to put a picture outside so it could be destroyed in the rain. The knocking stopped after that. My family and I have been very unfortunate with possessed houses and possessed items. The second house was the worst of all 3, but they were all very bad situations. To all who read this, let me know how you guys think of what my family and I went through. I’m also happy to say that we have not had anymore paranormal occurences. My Dad has been seeing ghost in his home for years …he saw and old woman wearing a black Vail standing over my mom as she sleeps and he has been seeing a very tall male ghost along with his two ladies playing around with a lightbulb on the wall and then the male ghost head floats in the bedroom doorway.My older brother was poked in the back real hard, he turned around he saw nothing.Dad saw a woman in a white blouse follow my younger brother from the bathroom to the bedroom last night. This has been going on for years. Has anyone any ideas. Lately i am just about to fall asleep, and i am woken up. This continues every time i am at the point of a falling a sleep. My husband has experienced the same thing. He has also had the lights come on when he is at the point of falling a sleep we are experiencing the same thing any ideas. I guess i experienced a haunted house .i experienced so much at this small 2 bedroom house in Detroit with my 5 yr old son a divorced women in my late 30s .well where do i begin ?…our bedrooms were upstairs 2 large bedrooms ajacent to each other i started hearing chairs being dragged pots and pans like someone was handling them making loud noises in the kitchen like someone washing dishes and putting them away but it was loud it was like listening to people in my kitchen making all this noise .it would happen when i went to sleep almost every nite i would sit up in bed terrified couldnt move ,,thinking someone broke in ??? it was at a point i was to afraid to sleep knowing i would hear this again..also i would hear footsteps like someone walking up the stairs but then it would stop !!! i was froozen scared shaking to afraid to move with my blankets over me .another time with the same week i was relaxing in the tub all by myself my son went to visit his dad for the weekend .i heard someone walking from the kitchen towards where i was the bathroom !!! as loud as can be just normal walking it scared me stiff i thought someone broke in i wondered who can this be ??? i am in the tub what can i do ? so i asked whos there ?..the footsteps stopped i called out my sons name and his dad too but i was totally alone ! i couldnt take this anymore ..i was having dream of 2 tall men trying to get me out of bed lifting my planket off of me and lifting me to the bottom of my bed 2 tall men then as i sat at the end of my bed their were a few people around me then i was traveling so fast thur something but still sitting then i started going backwards back to my room .i woke up terrified to say the least shaking couldnt go back to sleep .i had my boyfriend there he stayed because i was to afraid to stay alone at this time. i want to say their were no doors in the house..not even a bathroom door !!!! that was strange i called my landlord and asked him to put up some doors in the house but he never did, but what really did it for me was the noises in the kitchen then it would stop and i would hear the footsteps walking downstairs towards the stairs their was no carpeting downstairs . i asked my cousin to move in while i searched for a new place to live!!! ,, my reacouring dreams were a small framed women walking up the stairs in a very slow motion her head looking down she would make it to the top then she disappeard i have this same dream about a week the last dream i was standing at the top watching her walk up the stairs ,,when she reached the top she looked up at me and nodded a small smile then she disapeared going past me,,i frooze it was a experience i will never forget just having all these scary experiences happening to me i didnt see anything ugly or hear voices just the loud noises and footsteps and the dreams. Well i moved out AS FAST AS I COULD .Then and after a few years later drove past the house and it had burned down . so i believe these things really do happen to people ,because it happened to me . my brother and i have been experiencing really weird things on my family house on the night we been experiencing scratching and tapping on the wall my brother always sees a shadow on his door where him and my other brother live and see objects move on the kitchen we feel really weird when we go up the stairs at night and feel somebody is watching us please what is this. Door swung open by itself. At first I thought it was a peeping tom I told my landlord he didn’t see any foot prints in the snow. Tom. Then I started seeing shadows walking back and fourth my bedroom window. Then the sounds of knocking which my friends heard as well and managed to record. Very scary stuff. Even scarier the opening and closing of the windows which I managed to record Then i started seeing the Movement and hearing heavy breathing in my bedroom. I’d jump out of bed and turn on the lights absolutely nothing!. I started going back on my recordings and started finding 10sec 14sec videos of my children and I sleeping. My guy friend slept over with his son. First night he thought I was losing it second night he runs to me room telling me to wake up someone was trying to open the window he walked up and down with a hammer all night we’ve never seen the person. Which makes it hard to talk about how do you call the police with no face. Nothing missing just videos of strange shadows noise and breathing. They’ve never stolen anything or hurt me. I felt it touch my finger last week. Cold disgusting chilly evil dead. I know it’s hearing watching us right now. I’m a 4th year med student never had a mental illness live a healthy life popular in my community popular growing up cheerleader lacrosse player travelled the world Upper middle class upbringing . I feel like my life is over why is this happening to me. I want it to stop. I think my house is haunted. I’ve heard a rumor that a family burned to death in the house, and when I was little, I often used to see things and feel like I was being touched. I have a distinct memory, when I was about eight or nine years old, and I was playing with my dolls on the floor, and it felt like a hand grabbed my legs and just held onto me for a long time. I always feel like I’m being watched, whether I’m alone or not. My mother and I have both experienced a voice that sounds like ours calling the other person (ex: my mother will hear my voice saying “Mom!” but when she answers, there isn’t a response, and then she’ll come to investigate and I’ll be asleep or never called her in the first place; I’ll hear my mom say “Come here,” and when I come, she’s not even there or she’s asleep. When I’m home alone, I always hear strange things going on in a part of the house opposite of me (if I’m downstairs, the happenings are upstairs; if I’m upstairs, the happenings are downstairs). My mother says that when she’s here by herself, she hears people coming in and out of the house, but she knows that she’s the only one inside. Being that where we live, the entire city is pretty much an Indian burial ground, so that terrifies me. Also, at this very moment, I’m hearing something upstairs like it’s going from room to room, just opening doors, and it sounds like it may be coming down the stairs, but when I stop to listen, it goes back up and a door will open and close again. I’m probably just being paranoid but I’m certain that’s what I’m hearing (paranoia or not). Everynight for the past 3 years I’ve been having evil dreams. Could a demon attach itself too me? I usually wake up from an evil dream with my heart racing or I could be sweating really bad. I saw what it looks a demon coming out of my bathroom years ago could that still be the problem? When I am home alone while my family is out, in our apartment, I have used an online recorder, that picks up noises I do not hear without the recording. Sometimes it sounds like a faint door closing, or like if someone drops something and a faint ‘thud’ sound can be heard. O_O Some say maybe it is sounds from the neighbors because it is an apartment, but I KNOW, the difference in the sounds, and these walls, you cannot hear anything through them. I don’t doubt spirits/entities at all-I have had more than one occurrence with odd things happening. Yes I lived in a house that had a lot of strange things going on. It started when I was about 5 years of age footsteps all night up and down stairs loud crashing noises banging on walls. My nan was physically bumped into on the stairs. Things used to go missing and then reappear weeks later. My brother experienced the bath water moving as if somebody got in it. The toilet would flush itself . I felt somebody sit on my bed most nights my mom also felt this. So much more to write about but could go on for a very long time so will leave it there . That is very odd. Has anything else happened since you last posted? A late-friend of mine lived in a very old house, which had at one time been an Inn – that was at the time of Oliver Cromwell and the Roundheads. She often saw people in period dress walking around her Drawing Room. Her cat ‘Hattie’ would also sense their presence and would arch her back and start hissing. The house was at England’s gateway to the West Country, well known for its dense leylines. Visiting my friend over many years I became accustomed to the ghost stories, although still not being quite believing in what I was told. Until the day I went on an errand for my friend. As it was a warm day, I decided to walk to the village to collect an item of shopping. It was on my way back and nearing the house, that I saw a sailor in old fashioned naval uniform standing at the front door. As I neared, the sailor entered the house. When I arrived, expecting to meet my friend’s guest I found that she was alone in the house. I mentioned the sailor. My friend passed away a little over two-years ago, but she often comes to visit me; manifesting herself as sunbeams flickering through the trees beyond the window; passing me messages on my poor health. I always feel better after one of her visits. That is a fascinating story. I think we would all like to hear more about how your friend contacts you & gives you messages. I’m 13, I moved into my house 2 years ago and straight away I started to get odd feelings. We have a piano room at the bottom of the stair with the doors always open and it is always pitch black in there. Whenever i walk down the stairs i feel a presense staring at me and i just know that there is something in there. Whenever i think about it a figure always comes into my mind. A man in his mid twenties who is wearing an old style suit and has curly brown hair and for some reason i know his name is thomas. I dont think that he is bad but my mood can change drastically. For example, i was it my room putting on a bracelet but i couldnt get it on. I suddenly got so angry that i screamed and threw the bracelet across the room. I always feel like im being watched and i only feel safe when someone is with me and i cant even walk up the stairs alone. We believe our house is haunted. We have lived here over 12 years. At first we would smell cigar smoke and rose perfume every so often. Recently, there seems to be increased activity. At times our cat has hissed and hid at the same time our dog starts barking toward the living room. We have heard mysterious noises at time like something in our room falling on the dresser. At times you can feel like something sitting on the bed. Also, feelings of fear of something being in the bedroom with you at night. Now this morning we heard tapping on our bedroom door, almost like a knock but sounds like fingers. We thought at first it was our daughter but she was still in bed and our dog was asleep. Now that was spooky. Because, there was no explanation possible but a spirit. We also had things disappear and reappear or never see them again. My husband said a couple nights ago he saw a white speck of white light and sees it quite often. We will be moving to a new house. Is there a possibility that it will come along with us? Make sure to work out some kinds of living agreement, and let them know that you can hear them. It is your house as much as its theirs, but if they keep disturbing you, that is no good. It’s the same as living people…would you be scared of your neighbor next door, or would you tell them to keep their music down, or shut their dog up when it barks too much? No need to be scared, but annoyed, absolutely. Just let them know that they have passed, and that you are the new owners. Also, the knocking happened in the morning. It happened 2 – 3 times in a row. But, more than one knock at a time. I have lived in my rental home for three years.It is a old rancher that has additions attatched. My dog will not enter the newer part of the house without alot of encouragement and he cowers the whole time. He sits and whines and barks at the threshold to the stairs and will not go up alone we also have a cat that seems uninfected in any way. We have no mysterious movements or sounds,but my boyfriend has been scratched. In the last 3 months I have wakened in the night once was to a womans face inches from mine looking eye to eye with me…I squealed and she disappeared, a few days later I awoke and she was in the corner on the ceiling…I squealed she disappeared. A few weeks later I awoke and a tall thin man in aged clothes he was standing by my nite stand watching me it startled me so bad I shrieked and jumped to the other side of the bed when I looked back he was gone. two weeks ago I awoke again to a heavy bearded man bending over me and he disappeared after making me start. Just last nite I woke up to a young girl around 5 standing by my nite stand pulling on her own socks and doing a small twisting dance I stared at her and she vanished. All of these apparitions look like flesh and blood they are not ghoulish or wispy …but what do they want ..when I open my eyes to them its like finding a intruder waiting to kill you and its very unsettling,Am I going nutty? I heard three knocks on my door while playing my playstation, and my door swayed open so I know I wasn’t hearing things. I called out asking if it was my mom and the door got pulled closed and I heard like a childs footsteps run down the hall way. I checked the entire house and no one was home, all doors and windows were locked as well. my daughter and I have heard someone walking around, down the steps, up the steps, coughing, we have seen someone in the house, while we are here and know it is just us two. dark shadow people, but they do not harm us. vivid dreams, sometimes about demons, satan, I have had them talk to me, whispers, I have heard them talking, seen actual shadows and not see the person, I feel the feelings, like depression, sadness, anger…I had strange behavior between my daughter and my son, figured out that there was a demon in my basement and I made it leave my home. my animals act oddly, one night my dog started growling and backing up and watching something float down and then she started going forward and watching it disappear into the ceiling where it started from. we are Christians, just want to understand the people better. there was this house in my hometown where i kept having nightmares almost daily. and my dad said the place was haunted. it used to be a doctor’s office in the past. So i dont know where i fall in but i had experience something extraordinary, when i was a child i walked on my patio and saw a red cape moving towards the hall inside of the house. All i saw was the end of the cape and when i got inside the house i didnt see anything and the curtains were a totally different colour and all the way down the hall and wasnt long enough to reach the kitchen. Just recently i been a victim of sleep paralysis and before that happen the image of that same red cape came back to me and the paralysis started happening to me. Any suggestions as to what is happening to me? My name is Em I live in a 1 bd room apartment by myself. Ive had plenty of strange things happen here. Its something im not afraid of. Once ive heard a growl with my own ears while standing by my front door. Ive had knocking sounds papers shuffling. Ive felt someone watching me in my small hallway that goes to the bedroom and bathroom. When i lay on my couch at nite to go to sleep ive felt like someone was literly behind me watching me sleep and to me thats a very uneasy feeling because i feel my body is going into like a cant move kinda state ive had this happen plenty of times. When i feel something is wrong while im trying to fall asleep i tell it to stop and to go away and it does. So I live in a house and I live with my family (mom,dad,sister,brother,brother in law) and I had alot of stuff happen to me . When I used to live in my brothers room I had sleep paralysis every 2 weeks or so. And it felt like someone was on top of me making me not be able to breathe and I always seen shadows by my door . I moved rooms after that (my brother moved into that room)and this one time I was showering minding my own business lol and i was done and i went to leave and i unlocked the door and i couldn’t open the door like someone was holding the door and at the moment i thought it was my brother or someone so i didnt mind it and i started to brush my hair and i heard in my brothers room a little kid like running around in there and giggling after i started getting a little scared and when I went to open the door , the door knob started shaking kinda and I tried to open it again and it wouldnt open and I started saying this isn’t funny open the door . And after like a min it finally opened and i looked in my brothers room and no one was in there and the light was off and i went downstairs after and i seen my brother was sleeping and hes a heavy sleeper . After that I was so scared and nothing happened after but a month or so went by and I was in my room on my phone and my door knob started shaking and I didnt mind it and then it stopped and it started going again like 2 mins later and i went and looked out my door and no one was there and i went and looked in my brothers room and he wasn’t in there so i went back into my room and I kept my eye on the door cause I was a lil scared and my door opened and I freaked out and closed it and it opened again and my cat was staring at the door like someone was there and no one was out of my room or even upstairs . After that my mom seen a little child shadow downstairs by our kitchen and when I went down there like 5 mins later it wasn’t there and she freaked out too. Scary stuff happens in my house !!! This apartment I live in is haunted for everything and my girlfriend knows about everything and laughs about it. She says I’m crazy and I’m tired of it.